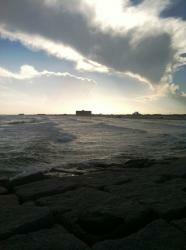 Attention Winter Texan visitors to Port Aransas! Sand Key Realty offers monthly accommodations during the offseason to our winter visitors. Properties are generally available from November 1 through the end of March, but check the individual property description for more details. Monthly rates are for a calendar month and most of our properties have a 2 month minimum after Jan 1. Unfortunately we are not able to take monthly bookings through our online booking system, so please call us at 361-749-4255 if you are interested in a property. Click Here to View all our Vacation Rentals! An advance deposit of $500 is required to make a reservation. This deposit can be paid by check, cash or credit card. All reservations require that a credit card be kept on file. The remaining balance of the first months rent, plus all fees, will be due 30 days prior to arrival. Remaining months are paid 30 days in advance, so upon arrival your second months rent will be due and so on for each remaining month, if applicable. Cancellations must be made at least 30 days prior to arrival. Cancellations that follow this policy will be entitled to a full refund minus a $25 processing fee. Please note: no cancellations are allowed during the guest stay, i.e. no refunds for early departures. If guest cancels less than 30 days prior to arrival or during their stay, guest is responsible for the full balance of the reservation. At the time of reservation, you will be entering into a contractual agreement for the full stay amount. Guests agree to be held responsible for all rents for the agreed upon term, unless cancellation occurs 30 or more days prior to the original arrival date. Pets are only allowed in pet friendly properties. Many of our properties are pet friendly for Winter Texans only, so please check with Sand Key Realty to confirm whether a property is pet friendly. Violators will be asked to leave without a refund, and will be charged a $500 cleaning fee. A maximum of 2 pets are permitted unless otherwise stated in the property description. Pets must be leashed at all times when at the beach or outside the home. Call Sand Key Realty at 361-749-4255 to book your winter stay!